Where we are. What we do. What we did. Who is in our life. What we make. ​What are our hobbies. What are our passions. I have always been one who wanted to see what made mechanical and electrical things tick. So whenever I would see something that was thrown out I would take it apart to see what was wrong with it and see if I could fix it. This started when I was a kid if my dad was working on something I would be there to see how he fixed it. Back in those days we couldn't just go buy a new whatever it was ( there were 16 kids ) so we had to fix it or do without. The turntable is driven by a small motor-gearbox out of an old Sony Video camera. The rest of it is made up of odds and ends that I've scavenged over the years. It took about 3 weeks to plan and build working a few hours a day. The APC took about 3weeks also. You know that it was a labor of Love for Our Fallen Brothers and the rest of Our Company of Heroes. I thought about each and everyone of the men of D/16 Armor every day while I was building all of the stuff for the reunion. I would tell our Fallen what the weather was like that day and if it was a sunny day I would tell them another blue-bird day guys. My dad was a World War II Pacific Marine - Saipan, Okinawa, China. He rarely spoke of his experiences and then only in abbreviated sentences. 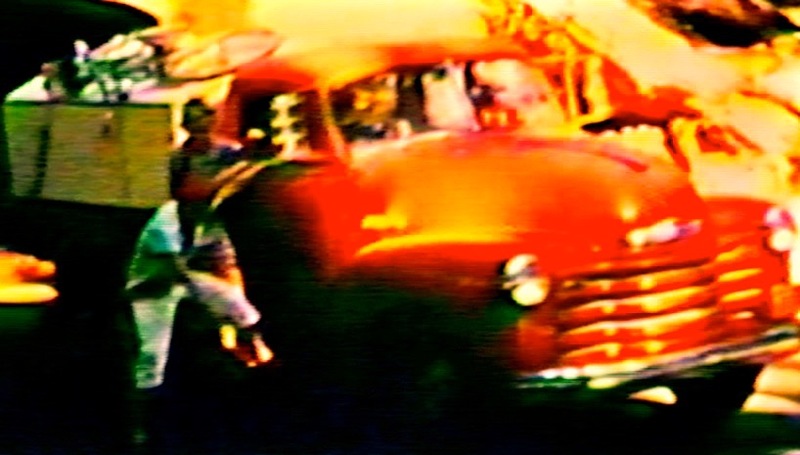 He did however love the out-of-doors and would jump in the 1953 red Chevy pickup with the home-built camper on the back and haul my brother, my cousin, me and sometimes my mother all over California. To the great parks like Yosemite and Sequoia, ghost towns like Bodie and a hundred nondescript campgrounds. 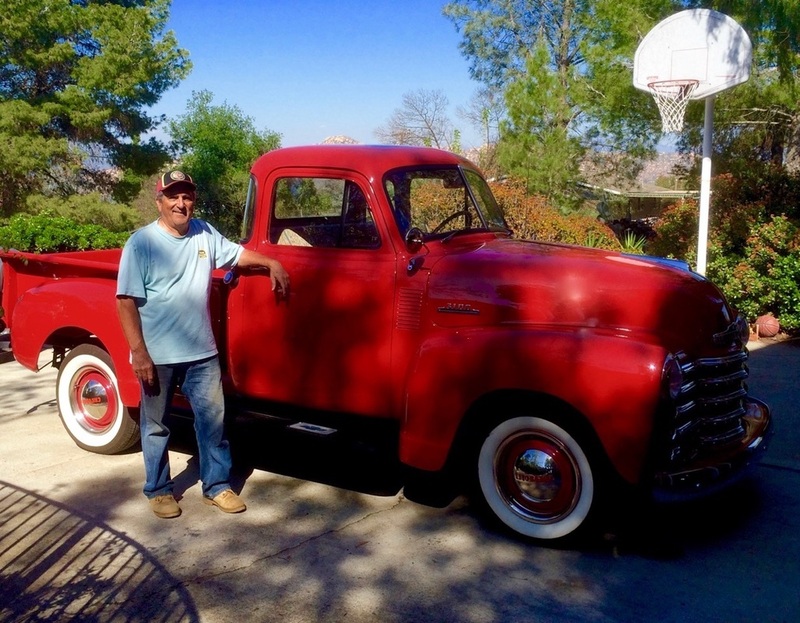 I got to fulfill a lifetime goal recently when I purchased a 1953 red Chevy pickup. Dad would love it. His never looked so shiny but he would feel right at home. Of course he would want to take it on some back country road to break it in.